Gene Whitmyre passed away Feb. 12, 2011, at home after a long and courageous battle with multiple health issues. He was 79 years old. 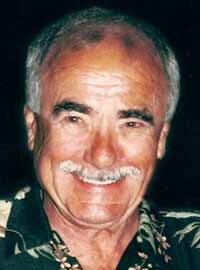 Born in Garrison, Iowa, and raised in the San Francisco Bay Area, Gene graduated from Sequoia High School and attended San Mateo Junior College in 1950. He and Valerie Signor were married in 1951 and together they raised their four sons. Their marriage ended in 1977 and in 1978 Gene and Judy Bowman began their 33-year relationship. In 1950 Gene joined his father's construction company and over the next 15 years designed and built custom homes in the Bay Area. In 1971 he co-founded his own firm, Property Resources Inc., which became one of the top real estate investment companies in the U.S. In 1985 PRI was purchased by Franklin Resources and Gene began his many years of retirement. Gene and Judy moved from Los Gatos, Cailf., to Sun Valley in 1988 where Gene became involved in local politics. He was instrumental in bringing St. Luke's hospital to the Wood River Valley. He served on the Foundation Board of St. Luke's hospital. Gene served as president of the board of the Hospice of Wood River Valley. He also served on the board of the Sun Valley Summer Symphony. A self-educated man, Gene was an avid reader, hiker and tennis player. His love of powder skiing took him on many heli-ski adventures both here in the U.S. and in Canada. He was an outstanding photographer who never tired of capturing the beauty that Idaho offered. Gene was a gentlemen of true integrity who led an exemplary life. His sense of humor will long be remembered. He is survived by his wife, Judy; his four sons, Erik and his wife, Arantxa of Los Angeles (who are expecting their first child), Steve of Lake Tahoe, Christian and his wife, Sarah of Seattle and David and his wife, Karen of Merced, Calif. He is also survived by six grandchildren, Michael, Andrew, Elizabeth, Rebecca, Timothy and Joanna, as well as by Gene's brother, Dennis, and wife, Antonia, of Bellingham Wash.; his brother-in-law, Gary Hill, and wife, Gretchen, of Los Gatos, along with several nieces and nephews who loved him dearly. His family would like to thank Carolyn Nystrom of the Hospice of the Wood River Valley for her loving care and support. Contributions are suggested to Hospice of Wood River Valley, Box 4320, Ketchum, ID 83340. A memorial service will be held at St. Thomas Episcopal Church of Sun Valley on Thursday, Feb. 24, at 11 a.m. A reception will follow at the Knob Hill Inn. Friends are invited to leave condolences and share memories at www.woodriverchapel.com.